Dan O' Hara's Homestead, the award winning Connemara Heritage & History Centre has been welcoming visitors from all over the world for many years. Situated in the Gaeltacht and dedicated to the memory of the immortalised Dan O' Hara who along with his wife and seven children was evicted from this homestead by his landlord in 1845. Along with so many more people from Connemara and Ireland during this era, he was forced to immigrate on the coffin ships to the US. Unfortunately his wife and 3 of his children did not survive the journey and needless to say he arrived in New York a very broken man. 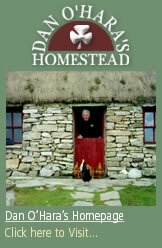 Dan O' Hara's homestead offers a very unique insight into the life and times of Connemara during the 19th Century along with the history of the region not to mention a verse of the renowned Ballad Dan O' Hara. As part of our commitment to the continued and sensitive development of the Connemara Heritage & History Centre and to Dan O' Hara's memory and those of the many Irish who were forced to leave their homesteads for America we have developed "A Roots from Ireland Park". 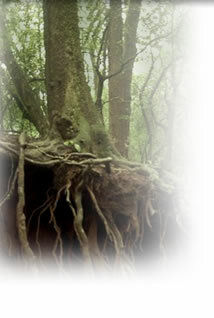 Here we will plant indigenous Irish Trees, Ash, Alder, Hawthorn and Sycamore Trees which can be dedicated to your ancestors, a family member or a good friend. A personalised plaque at the foot of the tree will accompany each Tree planted and the person for whom it is chosen will receive a Certificate of Ownership for their home or office wall.